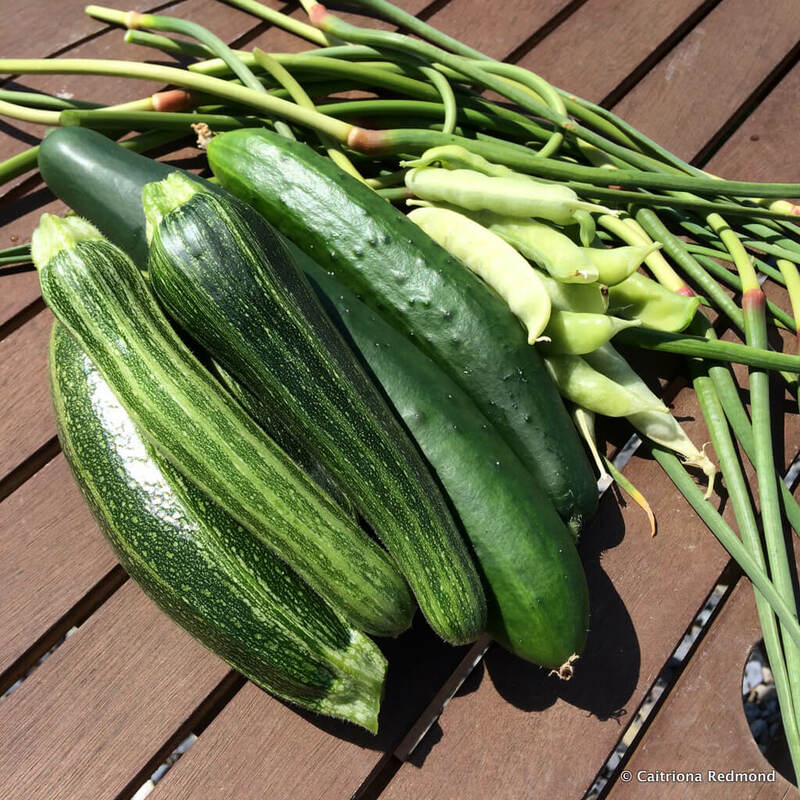 Garlic Scapes – What Are They? – Where To Find Them? – What To Do With Them? Garlic scapes are elusive, very seasonal, and you’ve probably never heard of them. 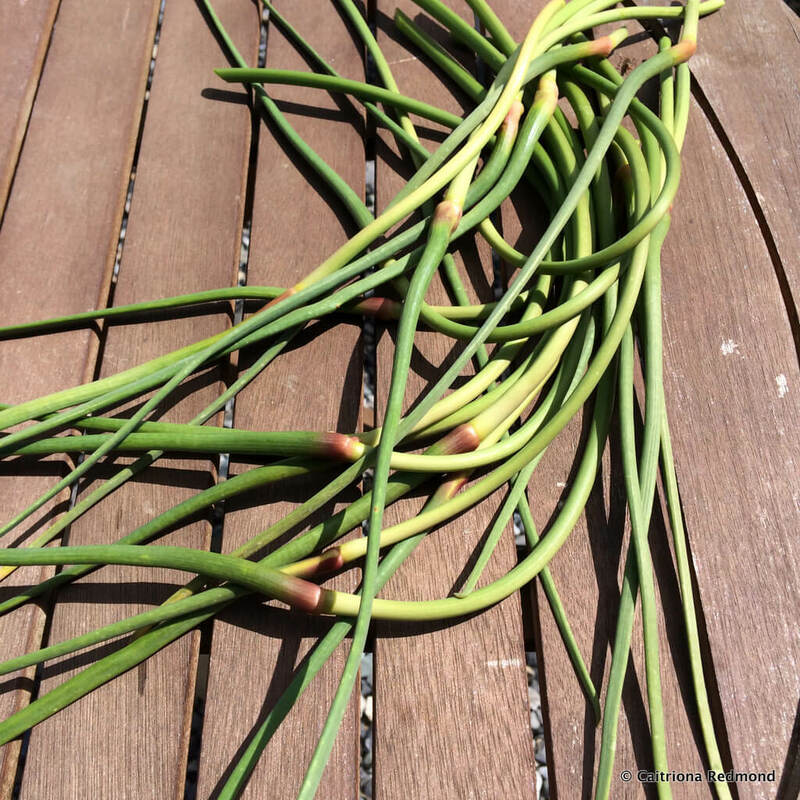 If you have heard of garlic scapes it’s because you either grow your own garlic, or you’ve seen a small rash of related recipes/posts on social media in the past few weeks. This is not the next “cro-nut”, not a food-fad at all. Garlic scapes have a smaller season than elderflower (another item that’s just finishing its season at the moment), and are harder to get a hold of in Ireland. We grow our own garlic which is why we have scapes to use. They will typically grow just the once in a growing season on a head of garlic. We planted the garlic long before Christmas, in October in fact, and it’s getting close to harvest time. Like onions, garlic has large leafy green stalks, so much so that plenty of visitors to the plot have mistaken the crop of garlic for onions. Like onions, when the garlic is getting close to being ready it grows a seed pod on one of the stalks. We cut the onion seed pod off to make sure that the energy goes into the head of the onion. The seed pod on garlic grows in the middle of a stalk and grows extremely fast. In the space of a week it can grow as much as 20cm in the Irish climate! We cut off this stalk to encourage the energy to go into the garlic bulb. The stalk however is perfect for a stir fry, ideal for pesto, salad dressings, raw, and is very good for you. It is the ultimate home-grown treat as it’s rare you’ll find these scapes in the shops. If you’re lucky enough to have a decent farmer’s market nearby and know of an organic farmer who grows their own garlic you can ask them to keep you the scapes. 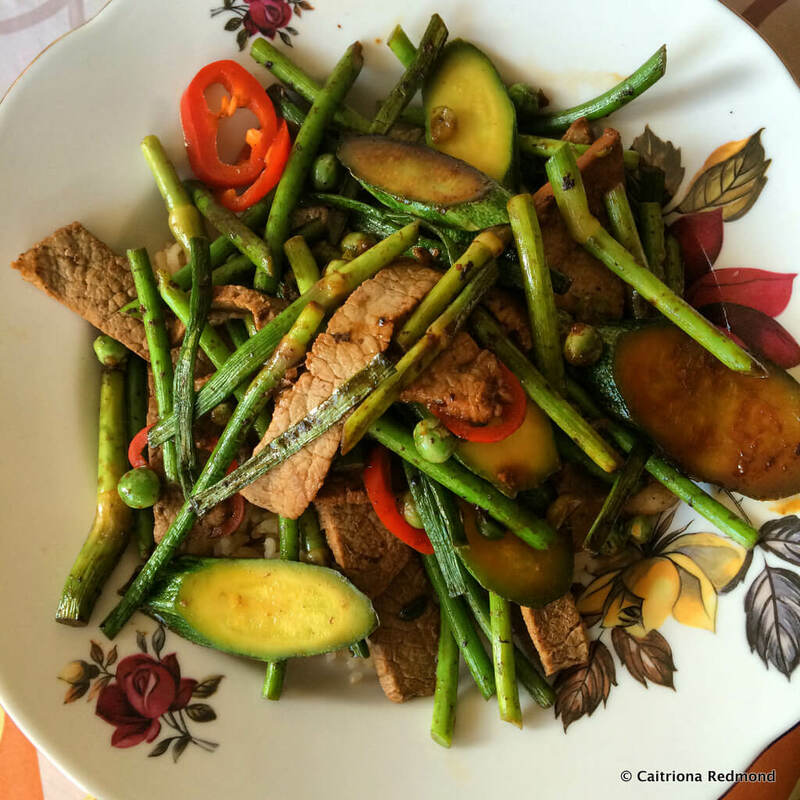 Last week we had a swift stir fry made with the scapes. If I was to make one change I’d cut them a little bit smaller when stir frying. They can be woody and chewy if you let them get too mature and are best cooked as soon after cutting as possible. They have the texture of a string bean, without the bean on the inside, and a light aromatic garlic flavour that isn’t too strong – providing you don’t bite into them raw. Heat a non-stick frying pan or wok until smoking hot. Use a small amount of oil if you need to. Sear the beef until it’s just cooked through. Remove from the heat and set to one side. This is a great nutritious, wholesome meal, which is low fat and full of all the good nutrients. Enjoy! Wow, that dish really looks delicious. Actually, I’ve never heard of garlic scapes before. Definitely have to look for those scapes in order to cook with them. Thank you so much for that inspiring post!